Sadio Mane is unlikely to be fit in time to feature in Liverpool's trip to Bournemouth on Saturday, Jurgen Klopp confirmed on Friday. The Senegal forward suffered a cut to his foot against Everton at Anfield, forcing him to sit out the 3-1 win away at Burnley on Wednesday. 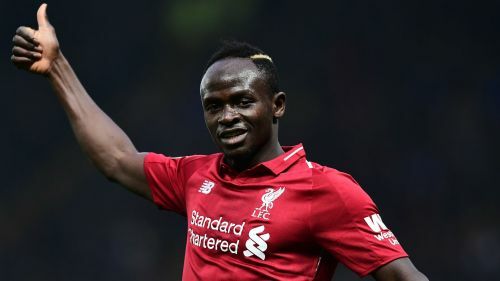 Klopp confirmed Mane is now back running again but does not expect to have the player available for the Premier League fixture this weekend. "Sadio is now out and tries to run first time, so that doesn't sound like he will be ready for tomorrow," the German told the media. "Hopefully he can finish the programme today we did for him." While Andrew Robertson will return after being rested in midweek, Klopp revealed Dejan Lovren remains sidelined as the centre-back has yet to fully recover from a head knock sustained in training prior to the Merseyside derby. Joe Gomez is also missing after he fractured his left leg against Burnley, meaning Joel Matip is likely to start for a second successive game alongside fellow centre-back Virgil van Dijk. "He will not be available," Klopp said of Lovren. "He got a knock last week, a concussion, and is still not available to play. "[Nathaniel] Clyne is out for two weeks too, nothing serious but he is not in training. Joe, obviously, [is out]." Gomez could be out for up to six weeks, though Klopp admitted the diagnosis could have been worse after the 21-year-old was carried off on a stretcher following a sliding challenge from Burnley's Ben Mee. "It's a shame for the boy. He was in outstanding shape, helped us a lot because we can make the changes with Trent [Alexander-Arnold] and Joe," the former Borussia Dortmund boss said. "Together with Virgil he's improved so much. He did exactly what the scouting department at Liverpool expected him to do. When I came in everybody was full of praise for him, but I didn't see him because he got injured with the [England] Under-21s. "[It's] a bit, I would say, lucky because it could have been worse. Six weeks for us is massive, I can't even count the games in that period, but that means as well that he will be back for a big part of the season still and that's good."